Courts • Ronald E. Nehring has served on the state's high court for more than 11 years. 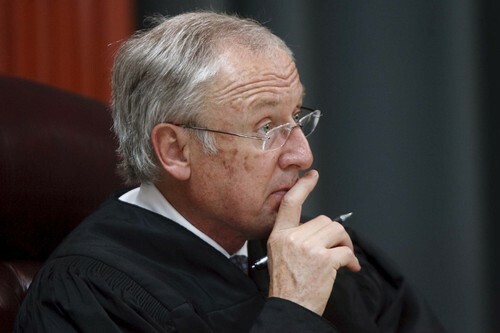 Trent Nelson | The Salt Lake Tribune Utah Supreme Court Justice Ronald E. Nehring hears arguments. 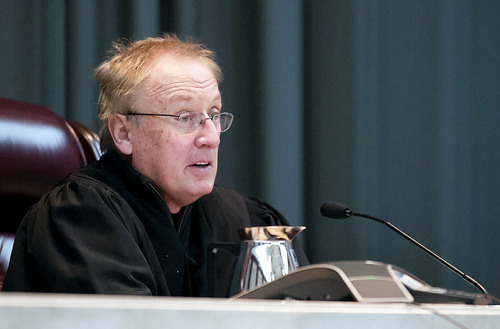 Associate Chief Justice Ronald E. Nehring asks a question during oral arguments at the Utah Supreme Court. Justice Ronald E. Nehring has announced his retirement after more than 11 years on the Utah Supreme Court bench. Nehring, who will leave his post in February, according to an announcement, had served eight years as a judge in 3rd District Court before he was appointed to the state&apos;s high court by Gov. Mike Leavitt in May 2003. At the time of his appointment, Nehring was the presiding judge of 3rd District Court. The court will be accepting applications for Nehring&apos;s replacement to the Supreme Court through Aug. 22. Once applications have been submitted, the Judicial Nominating Commission will submit seven names to the governor, at which point Gov. Herbert will have 30 days to make a selection. That nominee will then be subject to approval by the Utah State Senate. Nehring has served as the associate chief justice on the state&apos;s Supreme Court since 2012. A University of Utah law school graduate, Nehring began his career with Utah Legal Services. He has served as chair of the Board of District Court Judges, a member of the Supreme Court Advisory Committee on the Rules of Professional Conduct and has been a member of the Utah Judicial Council.